Thanks to The Hub, we have our first look at Bumblebee from the next cartoon show, which will be a sequel to Transformers: Prime. The series will premiere in 2015. 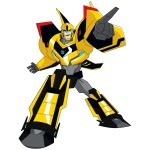 As had been reported before, the style does appear to be somewhat of a hybrid of the Prime and Rescue Bots aesthetics. LOS ANGELES — The Hub Network, champions of family fun and the only network dedicated to providing kids and their families entertainment they can watch together, announced today that a new animated series is currently in production for the globally renowned TRANSFORMERS brand. Set to debut in early 2015, the new action-packed series is being produced by Hasbro Studios, the production and distribution division of Hasbro, Inc., and is executive produced by Jeff Kline (“Transformers Prime,” “G.I. Joe Renegades”). TRANSFORMERS and all related characters are trademarks of Hasbro and are used with permission. © 2014. Hasbro. All Rights Reserved. The Hub Network is a multi-platform joint venture between Discovery Communications (NASDAQ: DISCA, DISCB, DISCK) and Hasbro Inc., (NASDAQ: HAS) that champions family fun by providing relatable, funny, family friendly entertainment experiences that children and their parents can enjoy together. The cable and satellite television network features original programming as well as content from Hasbro’s rich portfolio of entertainment and educational properties built during the past 90 years and from leading third-party producers worldwide. The Hub Network’s lineup includes animated and live-action series, as well as specials, game shows, and family-favorite movies. The network extends its content through a robust and engaging online presence at HubNetwork.com. The Hub Network rebranded from Discovery Kids on October 10, 2010, and is available in nearly 71 million U.S. households. The Hub Network logo and name are trademarks of Hub Television Networks, LLC. All rights reserved. To find the channel in your area, please visit HubNetwork.com and check the channel locator at the top of the page. Hasbro Studios is the Los Angeles-based entertainment division of Hasbro, Inc. (NASDAQ: HAS). The studio is responsible for entertainment brand-driven storytelling for the company across television, film, commercial productions and short-form. It develops, produces and distributes TV shows based on Hasbro’s world class brands, including TRANSFORMERS, MY LITTLE PONY, LITTLEST PET SHOP and FAMILY GAME NIGHT. Many of these shows air on Hub Network, a U.S. television network for kids and their families, that is a joint venture between Hasbro and Discovery Communications (NASDAQ: DISCA, DISCB, DISCK). Hasbro Studios shows can also be seen on networks in more than 180 countries globally. Since its formation in 2009, the studio has received seven Daytime Emmy wins and 16 nominations. On the film side, the studio is developing and producing a number of features based on Hasbro’s brands, including TRANSFORMERS 4 (Paramount), G.I. JOE 3 (Paramount) and Ouiji (Universal Pictures). The studio team also oversees the production of commercials that feature Hasbro’s brands as well production of short-form content that can be seen on all of the major digital and social media platforms globally. I really wished they stayed with the 3D polygon animation as they did with Transformers Prime. I really hope they still have Arcee with the same voice Actress Sumalee Montano. I thought that was an unnecessary bit of character confusion, but not really something worth raging over. Anyway I didn't want the hassle of arguing with fans who maintained that Airachnid was a totally original, totally unrelated character. 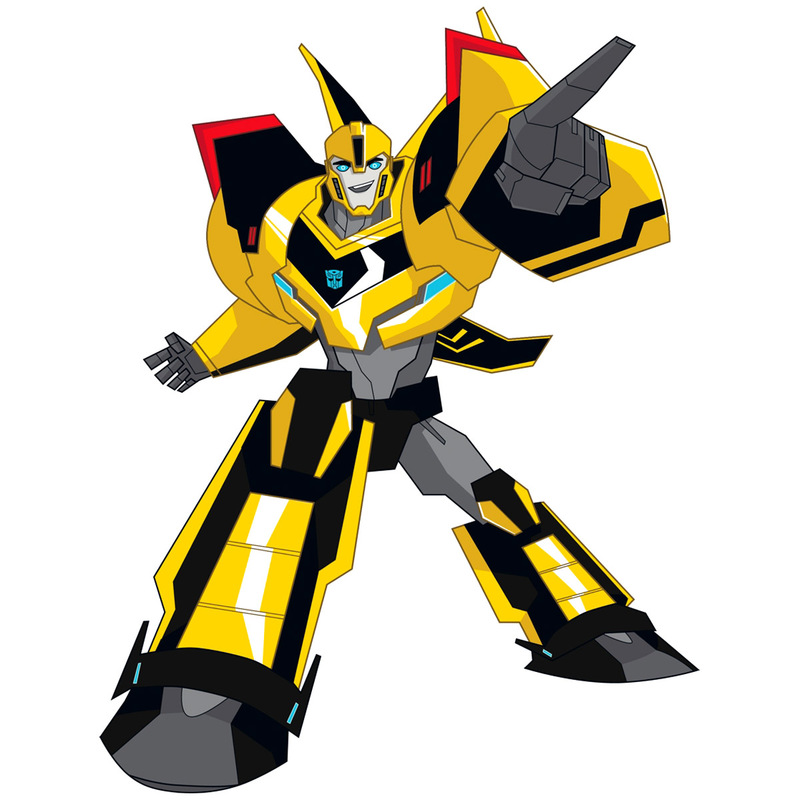 And as it turns out, quickly forgotten, whereas variations on the new version of Bumblebee simply refuse to go away. Well if you hate Bumblebee to begin with, of course it's not going to bother you that they get rid of the horns. 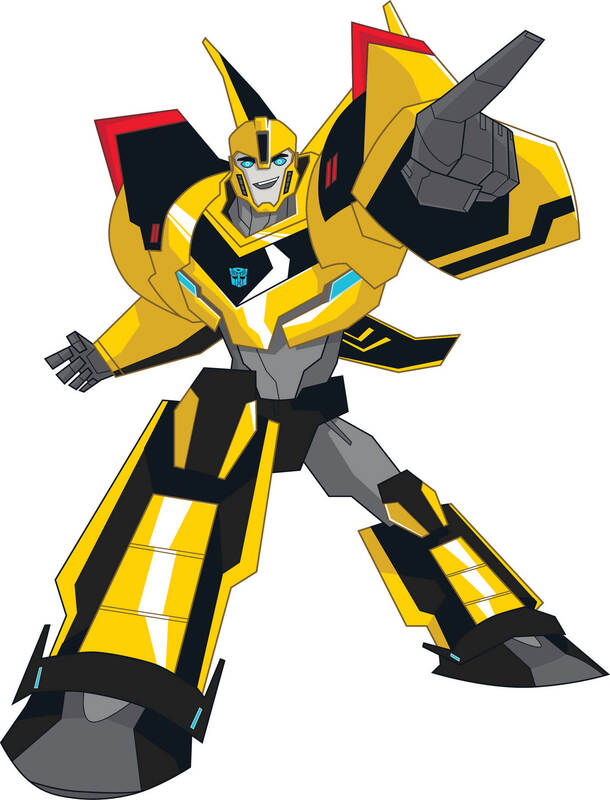 What I hate isn't so much encapsulated in any one detail change, but more the fact that over the past few years they managed to turn Bumblebee into a character that's so unappealing and widely detested, and yet heavily pushed and promoted. Let's just wait till next year to actually judge it on its own merits. I look at it from a different point of view. This is TF Prime without everything I want in it. You don't even KNOW what's in it, so how can you tell? Chill. It has been said hundreds of times these aren't the finished designs. Is this an attempt to make the show kid friendly? Anyway the show is specifically geared to getting Crossover Audience. Hasbro's research showed that the young Target Audience of Rescue Bots love it but that their Older siblings and parents also watched and enjoyed it. It has Crossover Audience appeal. Prime/BH while enjoyed by an older audience decently really only appealed to them and did not have real crossover audience. So this new show is engineered to fix that and hopefully be enjoyable by all ages, as Rescue Bots is. You've seen ONE(two if we count Optimus-Wan-Kenobi) image for the show. How can you make a fair judgement based on that 0.o seems a bit unfair. If Starscream isn't in it, then they might as well cancel the show right now. I LOVED Prime, it got me interested in transformers again, but this isn't Prime this is a poor excuse for a replacement. When I first heard "3d characters on a hand painted background" this is the first thing that sprang to mine. If that's the case then I am so on board for this! Was there some other press release I missed? Where were ANY of those "checked" or even "sorta checked"? No, that's just me going off of the end of Prime, where the Cons were disbanded and the team remained on Cybertron to rebuild and reestablish the planet before the refugees returned. Just the given stuff. It is a sequel, after all. This show is dead to me already.